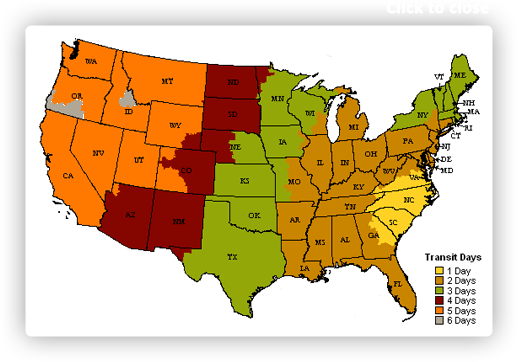 Colors include: Light Blue, Gray, Ivory. The primary colour is Light Blue. 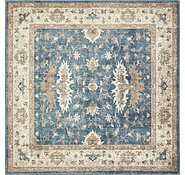 10' x 13' Vienna Rug is rated 4.9 out of 5 by 21. 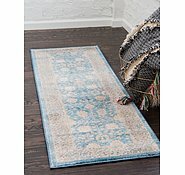 Rated 5 out of 5 by Smigle13 from Quality and Service I have now purchased 2 rugs at different times. For both I have been impressed with the quality. 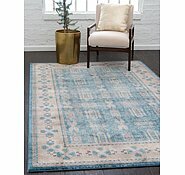 The rugs were better than I expected. And delivery was fast. 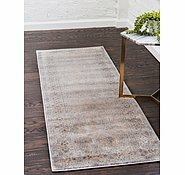 I thoroughly recommend au rugs. Rated 5 out of 5 by Claudia from Great quality Great company to deal with. Fast delivery, plenty of choice & great quality- feels lovely under foot. 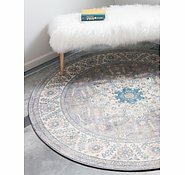 Was concerned image may differ from actual rug but it was spot on. 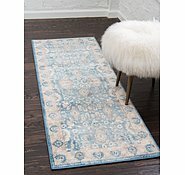 Rated 5 out of 5 by zeppity from great rug for a great price I was very skeptical about buying a rug without seeing it in person but the price was excellent and I thought that if I really didn't like it then it would do for the time being and I could find something else and it wouldn't be a huge loss. 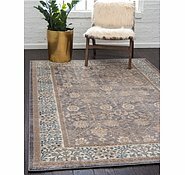 As it turns out I won't be in a hurry to find something else as it looks really good and is very soft to walk on. Cant say about wear yet. The rug arrived in about a week and the colors are really close to the photos. 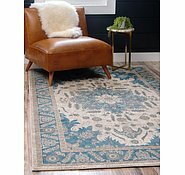 I did look at a lot of different photos of it even in other sizes for the same rug to get a better idea. 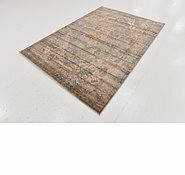 It is quite a light weight rug but looks much better and thicker on the floor. I also bought the basic floor mat for under it. It came folded as it is a big rug 275 x 365 but have managed to get most of the folds out in a few days, Any persistant folds respond really well to some heavy books for while! Very happy. Rated 5 out of 5 by Michael Andre from Way beyond expectation! 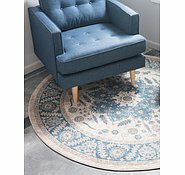 I just wanted a simple rug for the office but I was amazed by the beauty and quality of the rug. Seriously it has changed my attitude to the office. 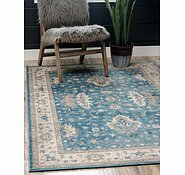 It has made it so homely and inviting and a pleasure to be in - something I never thought I would say about the effect of a rug!! 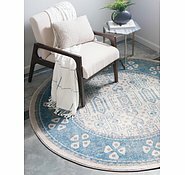 I am buying these rugs for the whole house! 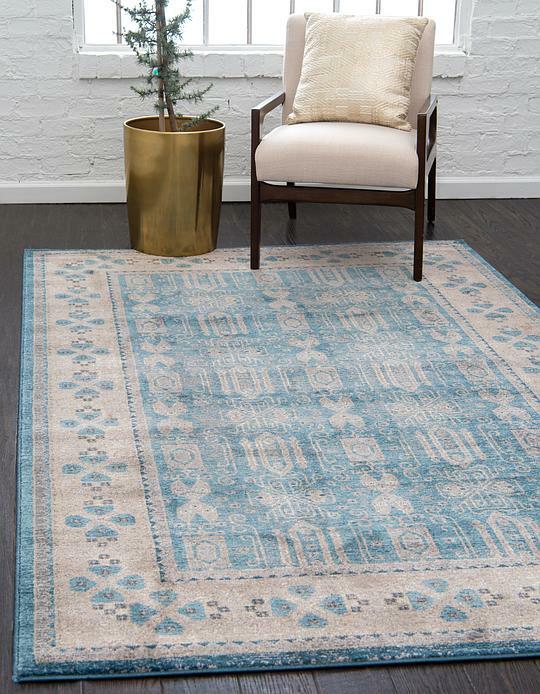 Rated 5 out of 5 by Happychappy from Great value My venetian rug was ordered and delivered within a week which I was very impressed. The order was done quickly and so was delivery. The vintage style was perfect for the room and the colours great. I would certainly recommend purchasing from AURugs woithout hesitation. 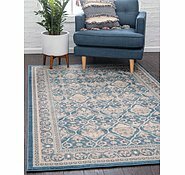 Rated 5 out of 5 by Sue22 from Great value My new rug took less than a week to get to me. It looks exactly right. The colours are very subtle / neutral and the pattern is fascinating. It feels both soft and strong underfoot. Has an antique look I like. I could put it just about anywhere. 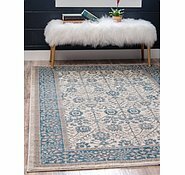 Rated 5 out of 5 by Fozz from Great rugs I bought a large rug and runner and while it is very hard to be sure of colours online the description was accurate .We are very happy with the softness as well . Delivery was also very quick . 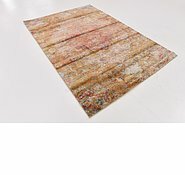 I would like to inform you that a rug pad is a type of buffer between the hard surface below and the rug above. 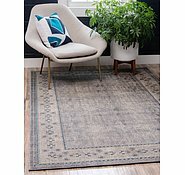 what material is this rug made from?